This original design celebrates a peaceful (and car-free!) 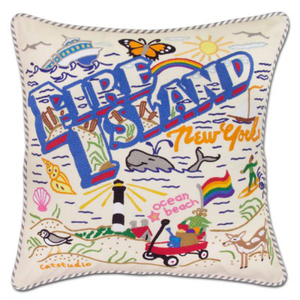 New York retreat - Fire Island! * Eighty percent of fire island is public park land and will remain undeveloped. There is a large population of white-tailed deer that live on the island and are protected by Federal Law. 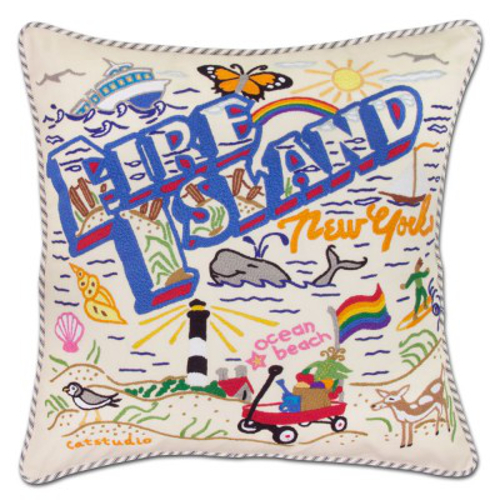 * All Fire Island beaches are free to visitors. * There are no paved roads and very few motor vehicles (only emergency vehicles) on the island, most residents and visitors walk or cycle from place to place.Fire Island is a 32 mile long barrier island located off of the south shore of Long Island. * The Sunken Forest on Sailor's Haven is one of the few maritime forests on the eastern seaboard (trees are estimated to be over 200 years old).